Stress is usually the first answer when a person does not feel well whether the symptoms are physical or mental. Do you remember the last time you were stressed? Chances are it was a lot more recently than you think. The feeling of anxiety and tension is so common; many people think they are OK unless they are having a heart attack. But the truth is that stress has a sneaky way of building up in you until it becomes a serious problem. Blame it on hormones. They control metabolism, weight, thyroid function, sleep cycles, and stress response. Symptoms are not usually sudden, unfortunately. Eating more and the inability to fall asleep are vague signs that can be nothing severe or can be hiding a chronic condition which you need to address. 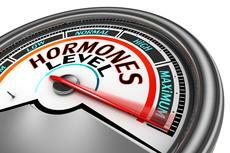 Hormonal imbalances are more common as people get older. Aging naturally causes lower levels of estrogen, testosterone and others that slow down the body’s processes, which can lead to chaos if they are not treated. Exterior factors such as air pollution as well as harmful chemicals and food and certain skin products can wreak havoc on your organism. Even doctors can sometimes miss the problem.